Nestled north of San Diego, the master-planned community of Carmel Valley, California is comprised of several neighborhoods which offer residents the charm of gracious upscale lifestyle with multiple amenities nearby. With a population of approximately 36,000 residents, Carmel Valley retains its aura of tranquility while attracting those who enjoy a prestigious lifestyle and neighborhoods that abound in unique architecture and design. Among the neighborhoods are Rancho Pacifica homes, Carmel Country Highlands, Pacific Highlands Ranch and others. With prices that range from $200,000 to several million, there are beautiful homes here that suit every budget. You might find a stunning home in Fairbanks Highlands Estates that includes 24 hour guard-gated privacy. The gated community of Alta Del Mar offers a 125-home neighborhood with views of the The Grand Del Mar Resort's golf course as well as stunning valley views. Homes in Rancho Pacifica, Carmel Valley, California, offer prestigious living in real estate that starts at $3 million. One can also find condominiums in Carmel Creek that are affordable and offer charm as well as proximity to parks and shopping. Another option is a townhome in the Groves that is ideal for a family or single and includes community tennis courts and a sparkling pool. Carmel Valley has an array of distinctive homes that offer proximity to San Diego and the nearby Pacific Ocean. You will be busy with all the events that happen nearby with your residence in Carmel Valley, California. The Pacific Highlands Certified Farmers Market is just one of the family friendly happenings. Hiking enthusiasts will find the opportunity to access the Carmel Mountain Trailhead as well as the Walkabout Trailhead. 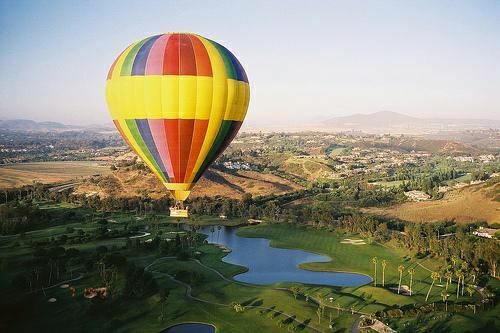 Additionally, nearby San Diego hosts abundant events, sports venues, museums and beaches. Carmel Valley is a great place to call home, and real estate in this community is an investment in an active California lifestyle.